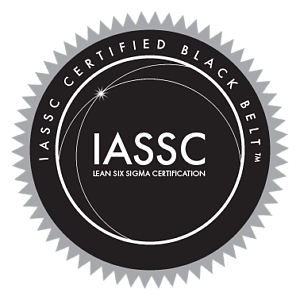 Lean Six Sigma Body of Knowledge combined from both ASQ ( American Society of Quality ) and the IASSC ( International Association of Six Sigma Certification ). I. What is Lean Six Sigma ? Describe the origins of continuous improvement and its impact on other improvement models. Describe the value of Six Sigma, its philosophy, history and goals. Describe the value of Lean, its philosophy, history and goals. Describe the relationship between Lean and Six Sigma. Describe the relationship among various business processes (design, production, purchasing, accounting, sales, etc.) and the impact these relationships can have on business systems. Describe how these tools are applied to processes in all types of enterprises: manufacturing, service, transactional, product and process design, innovation, etc. Describe the responsibilities of executive leaders and how they affect the deployment of Six Sigma in terms of providing resources, managing change, communicating ideas, etc. Describe and use various techniques for facilitating and managing organizational change. Describe how DMAIC projects and kaizen events are selected, when to use DMAIC and Six Sigma instead of other problem-solving approaches, and the importance of aligning their objectives with organizational goals. Describe the roles and responsibilities of Six Sigma participants: black belt, master black belt, green belt, champion, process owners and project sponsors. Describe the impact Six Sigma projects can have on customers, suppliers and other stakeholders. Define and describe various CTx requirements (critical to quality (CTQ), customer (CTC), satisfaction (CTS), delivery (CTD), etc.) and the importance of aligning projects with those requirements. Define and distinguish between various types of benchmarking, including best practices, competitive, collaborative, etc. Define and describe various business performance measures, including balanced scorecard, key performance indicators (KPIs), the financial impact of customer loyalty, etc. Define and use financial measures, including revenue growth, market share, margin, cost of quality (COQ), net present value (NPV), return on investment (ROI), cost benefit analysis, etc. Define and describe various types of teams (e.g., formal, informal, virtual, cross-functional, self-directed, etc. ), and determine what team model will work best for a given situation. Identify constraining factors including geography, technology, schedules, etc. Define and describe various factors that influence the selection of team members, including required skills sets, subject matter expertise, availability, etc. Identify and describe the elements required for launching a team, including having management support, establishing clear goals, ground rules and timelines, and how these elements can affect the team’s success. Describe and apply techniques that motivate team members and support and sustain their participation and commitment. Facilitate the team through the classic stages of development: forming, storming, norming, performing and adjourning. Identify and use appropriate communication methods (both within the team and from the team to various stakeholders) to report progress, conduct milestone reviews and support the overall success of the project. Identify and use various techniques (e.g., coaching, mentoring, intervention, etc.) to overcome various group dynamic challenges, including overbearing/dominant or reluctant participants, feuding and other forms of unproductive disagreement, unquestioned acceptance of opinions as facts, group-think, floundering, rushing to accomplish or finish, digressions, tangents, etc. Select and use various time management techniques including publishing agendas with time limits on each entry, adhering to the agenda, requiring pre-work by attendees, ensuring that the right people and resources are available, etc. Define, select and use tools such as brainstorming, Decision Matrices, nominal group technique, multi-voting, Pugh Matrix etc. Define, select and apply the following tools: affinity diagrams, tree diagrams, process decision program charts (PDPC), matrix diagrams, interrelationship digraphs, prioritization matrices and activity network diagrams. Measure team progress in relation to goals, objectives and other metrics that support team success and reward and recognize the team for its accomplishments. Segment customers for each project and show how the project will impact both internal and external customers. Identify and select the appropriate data collection method (surveys, focus groups, interviews, observation, etc.) to gather customer feedback to better understand customer needs, expectations and requirements. Ensure that the instruments used are reviewed for validity and reliability to avoid introducing bias or ambiguity in the responses. Define, select and use appropriate tools to determine customer requirements, such as CTQ flow-down, quality function deployment (QFD) and the Kano model. Develop and evaluate the problem statement in relation to the project’s baseline performance and improvement goals. Develop and review project boundaries to ensure that the project has value to the customer. Develop the goals and objectives for the project on the basis of the problem statement and scope. Identify and evaluate performance measurements (e.g., cost, revenue, schedule, etc.) that connect critical elements of the process to key outputs. Identify, develop and use project management tools, such as schedules, Gantt charts, toll-gate reviews, etc., to track project progress. Identify these process variables and evaluate their relationships using SIPOC and other tools. Evaluate process flow and utilization to identify waste and constraints by analyzing work in progress (WIP), work in queue (WIQ), touch time, takt time, cycle time, throughput, etc. Analyze processes by developing and using value stream maps, process maps, flowcharts, procedures, work instructions, spaghetti diagrams, circle diagrams, etc. Define, classify and evaluate qualitative and quantitative data, continuous (variables) and discrete (attributes) data and convert attributes data to variables measures when appropriate. Define and apply nominal, ordinal, interval and ratio measurement scales. Define and apply the concepts related to sampling (e.g., representative selection, homogeneity, bias, etc.). Select and use appropriate sampling methods (e.g., random sampling, stratified sampling, systematic sampling, etc.) that ensure the integrity of data. Develop data collection plans, including consideration of how the data will be collected (e.g., check sheets, data coding techniques, automated data collection, etc.) and how it will be used. Define and describe measurement methods for both continuous and discrete data. Use various analytical methods (e.g., repeatability and reproducibility (R&R), correlation, bias, linearity, precision to tolerance, percent agreement, etc.) to analyze and interpret measurement system capability for variables and attributes measurement systems. Identify how measurement systems can be applied in marketing, sales, engineering, research and development (R&D), supply chain management, customer satisfaction and other functional areas. Define and describe elements of metrology, including calibration systems, traceability to reference standards, the control and integrity of standards and measurement devices, etc. Describe and use this theorem and apply the sampling distribution of the mean to inferential statistics for confidence intervals, control charts, etc. Calculate and interpret measures of dispersion and central tendency and construct and interpret frequency distributions and cumulative frequency distributions. Construct and interpret diagrams and charts, including box-and-whisker plots, run charts, scatter diagrams, histograms, normal probability plots, etc. Define and distinguish between enumerative (descriptive) and analytic (inferential) statistical studies and evaluate their results to draw valid conclusions. Describe and apply probability concepts such as independence, mutually exclusive events, multiplication rules, complementary probability, joint occurrence of events, etc. Describe, apply and interpret the following distributions: normal, Poisson, binomial, chi square, Student’s t and F distributions. Describe when and how to use the following distributions: bimodal, exponential, lognormal and Weibull. Define, select and calculate Cp and Cpk to assess process capability. Define, select and calculate Pp, Ppk and Cpm to assess process performance. Describe and use appropriate assumptions and conventions when only short-term data or attributes data are available and when long-term data are available. Interpret the relationship between long-term and short-term capability. Identify non-normal data and determine when it is appropriate to use Box-Cox or other transformation techniques. Calculate the process capability and process sigma level for attributes data. Describe and apply elements of designing and conducting process capability studies, including identifying characteristics and specifications, developing sampling plans and verifying stability and normality. Distinguish between natural process limits and specification limits, and calculate process performance metrics such as percent defective, parts per million (PPM), defects per million opportunities (DPMO), defects per unit (DPU), process sigma, rolled throughput yield (RTY), etc. Calculate and interpret the correlation coefficient and its confidence interval, and describe the difference between correlation and causation. NOTE: Serial correlation will not be tested. Calculate and interpret regression analysis, and apply and interpret hypothesis tests for regression statistics. Use the regression model for estimation and prediction, analyze the uncertainty in the estimate, and perform a residuals analysis to validate the model. NOTE: Models that have non-linear parameters will not be tested. Use and interpret multivariate tools such as principal components, factor analysis, discriminant analysis, multiple analysis of variance (MANOVA), etc., to investigate sources of variation. Use and interpret charts of these studies and determine the difference between positional, cyclical and temporal variation. Analyze attributes data using logit, probit, logistic regression, etc., to investigate sources of variation. Define and interpret the significance level, power, type I and type II errors of statistical tests. Define, compare and interpret statistical and practical significance. Calculate sample size for common hypothesis tests (e.g., equality of means, equality of proportions, etc.). Define and distinguish between confidence and prediction intervals. Define and interpret the efficiency and bias of estimators. Calculate tolerance and confidence intervals. Use and interpret the results of hypothesis tests for means, variances and proportions. Select, calculate and interpret the results of ANOVAs. Define, select and interpret the results of these tests. 8. Contingency tables Select, develop and use contingency tables to determine statistical significance. Select, develop and use various non-parametric tests, including Mood’s Median, Levene’s test, Kruskal-Wallis, Mann-Whitney, etc. Describe the purpose and elements of FMEA, including risk priority number (RPN), and evaluate FMEA results for processes, products and services. Distinguish between design FMEA (DFMEA) and process FMEA (PFMEA), and interpret results from each. Use various tools and techniques (gap analysis, scenario planning, etc.) to compare the current and future state in terms of pre-defined metrics. Define and describe the purpose of root cause analysis, recognize the issues involved in identifying a root cause, and use various tools (e.g., the 5 whys, Pareto charts, fault tree analysis, cause and effect diagrams, etc.) for resolving chronic problems. Identify and interpret the 7 classic wastes (overproduction, inventory, defects, over-processing, waiting, motion and transportation) and other forms of waste such as resource under-utilization, etc. Define basic DOE terms, including independent and dependent variables, factors and levels, response, treatment, error, etc. Define and apply DOE principles, including power and sample size, balance, repetition, replication, order, efficiency, randomization, blocking, interaction, confounding, resolution, etc. Plan, organize and evaluate experiments by determining the objective, selecting factors, responses and measurement methods, choosing the appropriate design, etc. Design and conduct completely randomized, randomized block and Latin square designs and evaluate their results. Design, analyze and interpret these types of experiments and describe how confounding affects their use. Design, conduct and analyze full factorial experiments. Select and apply tools and techniques for eliminating or preventing waste, including pull systems, kanban, 5S, standard work, poka-yoke, etc. Use various tools and techniques for reducing cycle time, including continuous flow, single-minute exchange of die (SMED), etc. Define and distinguish between these two methods and apply them in various situations. Define and describe this concept and its uses. Develop plans for implementing the improved process (i.e., conduct pilot tests, simulations, etc. ), and evaluate results to select the optimum solution. Use tools such as feasibility studies, SWOT analysis (strengths, weaknesses, opportunities and threats), PEST analysis (political, environmental, social and technological) and consequential metrics to analyze and mitigate risk. Define and describe the objectives of SPC, including monitoring and controlling process performance, tracking trends, runs, etc., and reducing variation in a process. Identify and select critical characteristics for control chart monitoring. Define and apply the principle of rational subgrouping. Select and use the following control charts in various situations: X¯ – R, X¯ – s, individual and moving range (ImR), attribute charts (p, np, c, u), short-run SPC and moving average. Interpret control charts and distinguish between common and special causes using rules for determining statistical control. Define the elements of TPM and describe how it can be used to control the improved process. Define the elements of a visual factory and describe how they can help control the improved process. Review and evaluate measurement system capability as process capability improves, and ensure that measurement capability is sufficient for its intended use. Develop a control plan for ensuring the ongoing success of the improved process including the transfer of responsibility from the project team to the process owner. Document the lessons learned from all phases of a project and identify how improvements can be replicated and applied to other processes in the organization. Develop and implement training plans to ensure continued support of the improved process. Develop or modify documents including standard operating procedures (SOPs), work instructions, etc., to ensure that the improvements are sustained over time. Identify and apply tools for ongoing evaluation of the improved process, including monitoring for new constraints, additional opportunities for improvement, etc. Identify and describe these methodologies.